Cleaning green doesn't have to be hard or expensive. easy to make and incredibly cheap! How to eradicate stubborn stains on ANY surface with two simple ingredients. The safe way to disinfect your kitchen. The BEST way to abolish hard water stains. 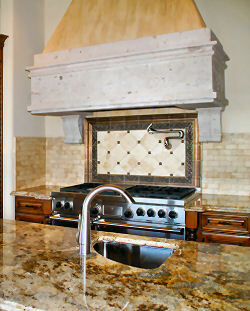 Tips to remove and prevent mold and mildew build up on grout. How to green clean your entire kitchen & bathroom! Ways to dissolve that viscous kitchen grease with ease! How to prevent cooking odors from stinking up the house. The easy way to clean brickwork, concrete and decking. Effective, easy and almost free to create green cleaning recipes. This book has it all! Every green cleaning recipe you could want to clean around your home. All of the ingredients are safe and inexpensive." "... multiple recipes for some of the cleaners so if you don't like one you can try another. ..."
"These green recipes help me make my house really clean and I don't have to worry about toxic chemicals. It works so well with only a few simple ingredients. I can also now let my daughter clean with me without having to worry about exposing her to harsh chemicals." 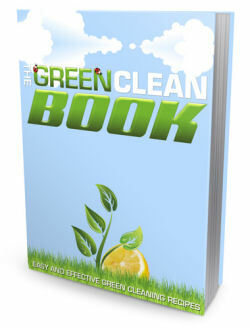 Clean your home quickly, safely, and cheaply with these green clean product recipes & solutions. Get The Green Clean Book! P.S. You have nothing to lose. If the Green Clean Book doesn't help you easily and effectively clean your home and allow you to save hundreds or thousands of dollars a year, then I will give you your money back, no questions asked. P.S.S. Green cleaning doesn't have to be hard or expensive. Buy today and save! Get More Info On Green Cleaning!